Plastic-Puglia established mainly from the passion of his founder, Baron Vitantonio Colucci for the agricultural world and his great experience about the plastic materials. 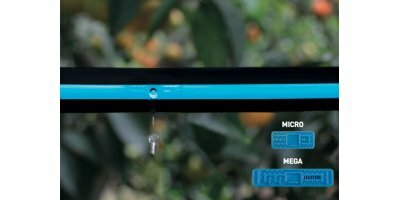 Baron Colucci designs the first polyethylene pipe aimed to irrigation and water supply, after a careful observation of agricultural world and its exigencies, obtaining a winner product which has gradually transformed the concept of water use into agriculture. Today Plastic-Puglia is a leader firm on the international panorama, with his plant of 80.000 square metres and annual manufacture of about 50.000 tons of high/low density polyethylene pipes and technologically advanced micro-irrigations systems, through continuous research and development in company’s laboratories. 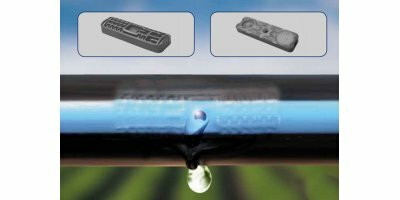 Plastic-Puglia Group reaches importers, retailers, wholesalers and installers of irrigation materials all over 40 countries, worldwide, in the 4 continents, ensuring everywhere the delivery of its products. Plastic-Puglia established mainly from the passion of his founder, Baron Vitantonio Colucci for the agricultural world and his great experience about the plastic materials. 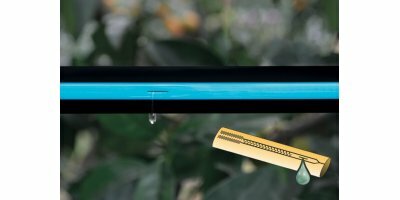 Baron Colucci designs the first polyethylene pipe aimed to irrigation and water supply, after a careful observation of agricultural world and its exigencies, obtaining a winner product which has gradually transformed the concept of water use into agriculture. Today Plastic-Puglia is a leader firm on the international panorama, with his plant of 80.000 square metres and annual manufacture of about 50.000 tons of high/low density polyethylene pipes and technologically advanced micro-irrigations systems, through continuous research and development in company’s laboratories. Firm’ commitment is made of Total Quality Management approach which allows getting excellent and performing products through detailed quality checks made by highly skilled personnel using sophisticated electronic devices, and making data comparisons with different university and research institutes. Plastic-Puglia is engaged moreover to respect the parameters of environmental protection contributing to reduce water consumption in agriculture by use of rigorous politics throughout manufacturing stages. Plastic-Puglia actively cooperates with specialized firms for products’ recycling when their use comes to an end. Plastic-Puglia is part of Gruppo Industriale Colucci which is a perfectly integrated and synergy ensemble of six companies (five of them are located in Italy and one is abroad) operating in the plastic materials domain, with the target of making strategic alliances with the customer to find solutions which generate add value. Plastic-Puglia S.r.l. 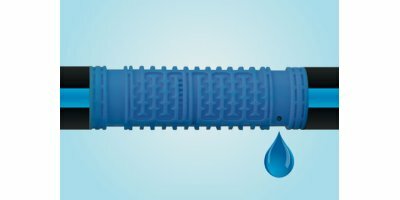 is a solid business started in 1967 and committed in the manufacturing and marketing of polyethylene pipes for gas pipelines, aqueducts and irrigation. The experience, professionalism and the skills achieved over decades of activity, led Plastic-Puglia srl to become a true point of reference in the domain. Give value to every single drop of water to meet the market needs has always been our main goal. sustainability, for the implementation of a conscious and rational use of water and the minimal impact of production process on the environment, through the collection of plastic products at the end of their life cycle. The marketing department carries out moreover, a constant monitoring of the market, so to advance and promptly answer to all customer needs and provide different operators with all kinds of technical and commercial information on its products. Plastic-Puglia exhibits at the most important fairs of the domain, both in Italy and abroad. The meeting with international customers is a very important moment for the company as an opportuny to accept new requests coming from agricultural world and get new ideas for the product development and improvement. Plastic-Puglia is aware that the access to water supplies is one of the most important issues to ensure the economic and social development of a community. That is why the company is committed, since ever, in the search for innovative solutions to optimize water use, through the development of components and irrigation systems which actually limit the impact on the water use and availability for local communities. We strongly believe in sustainable management of irrigation and we inform customers about the proper use of our systems so to get an increase into irrigation performance. For instance, a wrong supply management, even by use of micro-irrigation, could generate waste and difformity in the water distribution and fertilizers. For those reasons, Plastic-Puglia implements an environment sustainability policy based on information activity, training and technical assistance aimed to staff and customers, so to improve professional growth of farmers and the competitiveness of their companies. We believe that intelligent use of water resources, saving and recycle, are the best ways to understand the development! Plastic-Puglia is equipped of a modern research laboratory for testing, inspection, product tune-up, a far as manufacture and advanced technologies. The laboratory use the latest and most sophisticated technological equipment managed by highly skilled personnel. Plastic-Puglia achieved too, significant relations with some external research institutes to optimise the production results. Plastic-Puglia actively committed to obtain IIP (Italian Institute of Plastics), certifications as: Conformity Certification to UNI rules, Quality Management System and the Environment, as for UNI EN ISO 9001:2008 and ISO 14001:2004, as part of a continuous improvement for high quality system, both in the research and in the production stage.